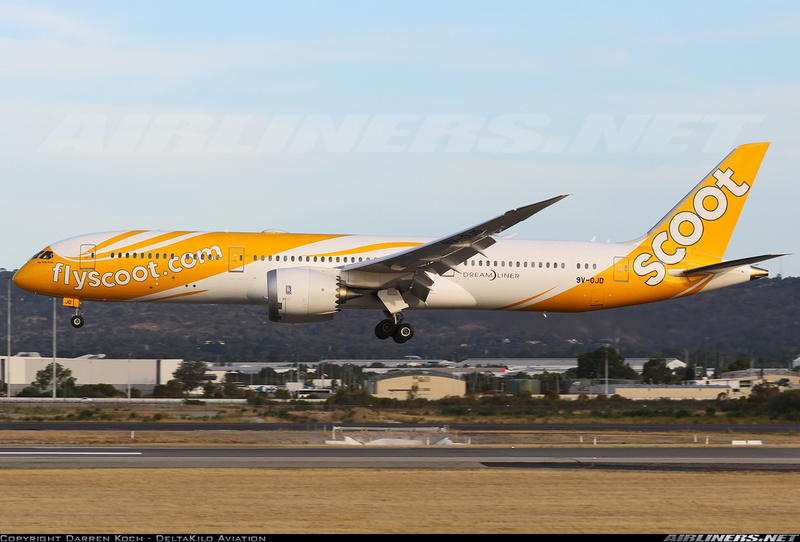 Welcome To My Trip Report On Scoot's Boeing 787-9 Dreamliner ScootinSilence Cabin! This aircraft (photo below) was undergoing flight tests when this photo was taken (Royal S King). After some flight tests, this aircraft was painted in the airline's livery. Thanks to the super deal by this airline, I decided to purchase a return ticket to Bangkok (DMK). An idea struck my mind and I decided to split my trip into 2 parts. First part is the itinerary below. 2nd part is to book another ticket from Singapore to Bangkok and fly back on the return leg. For that, I came out with a few ideas and decided to add another leg to it. So finally, I decided to book myself with Thai Air Asia to Krabi and from Krabi, fly Bangkok Airways to Bangkok DMK airport before returning home with Scoot. For the 2nd part, I couldn't take too many days off, so I decided to fly to Thailand on Saturday and back the following day. This is my itinerary for my part 1. This aircraft is a long range, medium size twin-jet aircraft built by Boeing for Boeing 767 and Airbus A330 replacements. What's special about this aircraft is that the airframe is made up of composite materials and is at least 20% more fuel efficient than the Boeing 767. The distinguishing features about this aircraft is the electrical flight systems, swept wingtips, and noise-reducing chevrons on its engines nacelles. In the cabin, the electronic dimmed windows is a new technology for aviation and the cabin features Boeing's popular sky interior with the multi colour mood lighting. 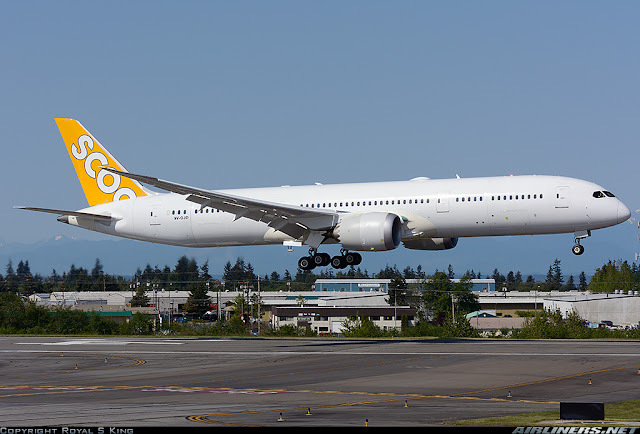 This aircraft was first launched in 2004 with ANA the first to place an order for the Boeing 787-3, -8 and -9. However, the -3 series was dropped and so the airline ordered more -8s in place. First flight of this aircraft model was supposed to take place in late 2006 but due to overweight issues with the first few airframes, the manufacturer had to redesign some parts and later on suffered further delays due to problems with some of the subcontractors unable to deliver for the other airframes. So 3 years passed with delays and airlines getting impatient with some demanding compensation. 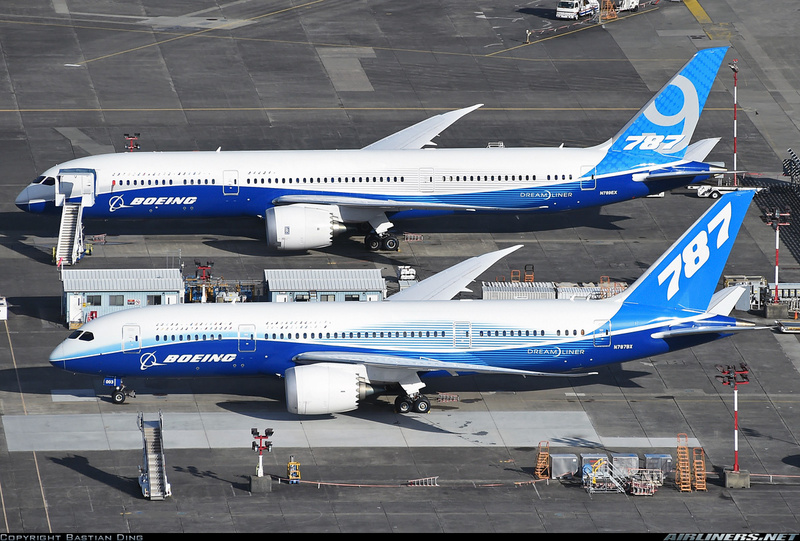 After the troubled times, a break through from the aircraft manufacturer came at the end of 2009 when the first Boeing 787-8 aircraft finally made its first flight on the 15th December and lasted for 3 hours before returning. Once Boeing got the production issues sorted out, new aircraft frames rolled out and eventually the airlines took delivery of them. Just before delivery, the Roll Royce Trent 1000 engines suffered a blow out and had to be fixed, this caused some delays in delivery to airline like ANA. Finally, ANA took delivery of the first Boeing 787-8 Dreamliner on 25th September 2011. However, trouble was not over for the manufacturer. Even though the early operators praised the aircraft for its fuel efficiency, there were some teething issues such as APU shut down with the inlet door closed and a few others. A more serious incident took place when reports of battery fire happened on a few aircraft in January 2013, the notable ones are ANA, Ethiopian and Japan Airlines' aircraft suffering a small fire at the battery compartment. This led to the temporary grounding of the Boeing 787 on the 17th January 2013 until a solution was found. Fortunately, Boeing found a solution with a revised battery design and after FAA approved it, the Boeing 787 aircraft could resume service at the end of April 2013. Lessons were learnt and since then the Boeing 787 aircraft type hasn't suffered any further issues with the battery. The Boeing 787-9's first flight took place on 17th September 2013 and Air New Zealand took delivery of the first 787-9 on the 8th July 2014. In May 2013, Boeing launched the Boeing 787-10 due to the customers' requests and Singapore Airlines is one of the launch customers for this aircraft type. The first flight would take place in 2017 and delivery would begin from 2018 onwards. 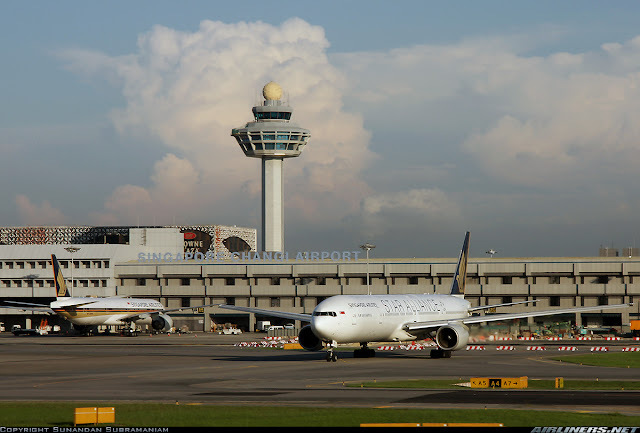 The home of Singapore Airlines! 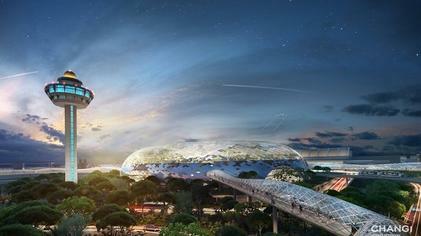 Singapore Changi Airport is one of the top airports in the world, currently with 3 terminals in operation. The other 2 terminals, 4 and 5 are currently under construction. 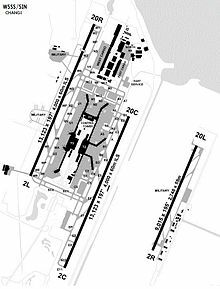 The story of Changi Airport began in 1981 when it took over Kallang Airport which was not able to cope with the rising traffic and expansion of the airport was out of the question. A new location was needed so Changi (current location) was chosen. Terminal 1 started operation in 1981, Terminal 2 opened in 1990 and terminal 3 in 2008. Budget terminal lasted for a short period of time before making way for terminal 4. This terminal was set up in March 2006 to allow the Low Cost Carriers to move there, unfortunately Air Asia and Jetstar remained in Terminal 1 and the size of it wasn't able to cope with increasing demand of air traffic so the decision to shut it down was made and the upcoming terminal 4 would take its place. The Budget Terminal ceased operation on the 25th September 2012. Upcoming project: Jewel Changi Airport is currently under construction for multi purpose use such as 2,400 car parking lots, indoor garden, shops and allow the easier transfer for the passengers within the 3 terminals (1,2 and 3). With this new complex, terminal 1 would be expanded to allow more space for arrival hall and taxi bays. I did my online check-in the day before and lot of seats were still available then. I was hoping for the whole row for myself. Did I get my wish? Read on to find out! The flight was in the evening, but I decided to go to the airport early to enjoy the facilities at the air side. Here are some photos. Are you a fan of Starwars? There are Starwars exhibits in Terminal 2 and 3. I used this counter to do my check-in. The staff was polite but she was clearly inexperienced. Eventually, I got my boarding pass and I decided to head over to Terminal 1 for lunch. Got my boarding pass and to my surprise, no. 40 in sequence and my flight is around 4 hours before departure! I hope one day I get to experience Singapore Airlines' First Class! I did once before on SQ's 747-400 but that was a long time ago. A tour group was making lots of noise and they certainly caught everyone's attention. Got myself a steak at Astons and once again it was disappointing. I asked for medium and I got medium-rare instead. After that, I headed to the air side of terminal 1 and took the sky train over. At this point, I wasn't too optimistic about having a row to myself. While I was waiting for the boarding announcement, I did a survey and received this pretty keychain. Boarding was announced. ScootBiz passengers and those requiring assistance to board the aircraft first, however there wasn't anyone at the door to check the tickets so the rest of the passengers stood up and made the way to the aero-bridge. Fortunately, everything went smoothly. I entered the aircraft through the L2 (2nd door) and turned to my left, already a couple of foreigners were there chatting away and snapping photos. It turned out to be 1/5 full in Scoot-in-Silence cabin and 3/4 full in the normal Economy Class cabin. Good news for me is not only I got a window seat with a good view, I had the whole row for myself! I paid S$17 for this seat. This was my assigned seat, but later just before push back, I moved to the row behind, the last row of this small cabin. Is it worth paying more for the seats in this cabin? My answer is yes especially for tall passengers. Settled for this row (10K) and not to worry, you can reclined your seat. The legroom space is worth paying for especially for flights more than 3 hours. ScootBiz cabin is just ahead and it turned out to be very empty. Only 5 seats were occupied. Fortunately, the crew didn't lock the window shade during the flight. The crew set the windows to dimmed mode - good thing is you can still enjoy the outside view. Unfortunately the window seats on the left side were taken,otherwise I would have shifted to one of the seats to enjoy the beautiful sunset. It was certainly a great day for flying! Unlike my previous flight experience with this airline (windowless seat), this flight turned out to be one of the best experience with this airline. Not only I had the whole row for myself, I had a good window view and it was a smooth flight. If you choose seat 10K on the airline's Boeing 787-9, you get the view of the wing and engine. This set of crew were mostly Singaporeans with a few other nationalities like Thai and Taiwanese on duty on my flight. The strange thing is announcements were only done in English. Since we were heading to Thailand and had a Thai crew on board, Thai announcement could have been make just in case there were some Thai passengers on board. The crew in general were reserved but they were polite. Most of them were young and the ones in the forward cabins had a relaxing flight since it was pretty empty, however a few of them did go to the rear to help out. For this flight, we had 2 Captains at the flight deck with one of them the Safety Pilot, probably to monitor the other Captain's performance. So we were definitely in good hands for this flight, nothing to worry. One of the pilots updated us with our flight information and the weather on route and also came on the speaker before we started our descend into Bangkok. Among my flights with airline so far, this set of crew is one of the better ones. I ordered the Nasi Lemak with Fish Cake set meal - $15. More expensive than the other Asian Low Cost Carriers I flew so far. I had a choice between Jasmine Tea (Below) or Coke, I wonder why the choice is limited since the airline offers other beverages. After paying the meal, the crew served me my drink and told me to wait for 15 minutes as the pre-heated food was being heated at that time. Food came promptly and it was quite hot. You need to use the knife to cut open the plastic sheet, as I tried opening it with my hands but failed. It's pretty good for an airline meal and I do recommend it. Enjoying this local delicacy at 43,000 feet with a whole row to myself, what more can I ask? A great start to my Flying Adventure of 2016! You have to pay to use these services. I didn't use them since the flight was short. Once we were ready and clearance was given, we taxied to runway 02C. We were at the main taxiway, it took us another 10 minutes before reaching the threshold of runway 02C. Clear skies means good view! Soon, we were flying on South China Sea and it was getting darker as the sun was setting. Mother nature can be beautiful, don't you agree? At this point, we started our descend and flew through some clouds which was a bit turbulent. One of the clouds we flew through caused the aircraft to drop sharply. It was so sudden that I held on tightly to the seat in front of me. This was it, my flight had come to an end. This is a great start to my 2016 Flying Adventure, I can't ask for a better start than this. I was fortunate that everything went well. No flight delay, a very good window seat, whole row to myself and better in-flight experience than my previous Scoot flights. What I like about flying with Scoot is the cheap airfare during the sales period and also the Boeing 787 aircraft which is a joy to fly. Like any other Low Cost Carriers, you have to pay for comfort and conveniences. I would recommend either ScootBiz or Scoot-in-Silence Super seats (787-9 Dreamliner) for better comfort. For the 787-8 Dreamliner's Scoot-in-Silence cabin, take note that seats are normal and avoid row 7A as it is windowless. Stay tuned for my part 2.